édité le 10/05/2018 - Plus de news de "ExxonMobil" - Voir la fiche entreprise de "ExxonMobil"
Esso Italiana announced it has signed an agreement for the sale of its Augusta refinery, three fuel terminals in Augusta, Palermo and Naples, and related pipelines, to the Algerian state oil company SONATRACH. Esso Italiana shareholders approved the agreement prior to signing. 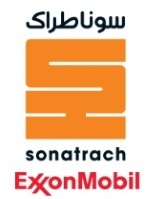 Esso Italiana and ExxonMobil will enter into multi-year commercial and technology agreements with SONATRACH for refinery products, operation, improvement, and to use the Augusta, Palermo and Naples terminals. The transaction does not affect Esso branded retail stations, fuels and lubricants customers or distributors, or ExxonMobil’s other operations in Italy. Esso Italiana will work with SONATRACH to carefully manage the transition, with continued focus on personnel issues, safety, community relations and environmental protection. Esso Italiana will continue to ensure safe and reliable operations and compliance with commitments made to the authorities. The sale is expected to close by the end of 2018 and is subject to some conditions and applicable legal requirements, including the completion of the information and consultation process with trade union representatives and the approval of the antitrust authority. About 660 Esso Italiana employees at these facilities will transfer to the buyer after the sale is complete.